Welcome to this edition of the Morning Drive Podcast! In today’s episode, we take a look at the rental market in some of the city&apos;s more popular neighborhoods. ►The Chicago Public Library says borrowers owe $1.4 million dollars in unpaid fines from overdue materials, but now the library is looking to wipe the slate clean. ►The presumptive Republican presidential nominee, Mitt Romney, is due in Illinois Tuesday morning. Romney has visited the state regularly in recent months, but the agenda’s a bit different this time. ►Last week India experienced the world’s largest blackout. Some 600 million people were left without electrical power when three grids collapsed. Arshad Mansoor is Senior Vice President of the Research and Development Group for the Electric Power Research Institute. He joined Worldview to discuss the political and economic challenges of providing power to the world&apos;s rapidly expanding, and energy-hungry, population. And your WEATHER for today: there’s a 20 percent chance of showers and thunderstorms after 4pm, sunny with a high near 92 - some wind gusts up to 15 mph. Then tonight, 10 percent chance of showers and thunderstorms before 7pm, partly cloudy with a low around 72. 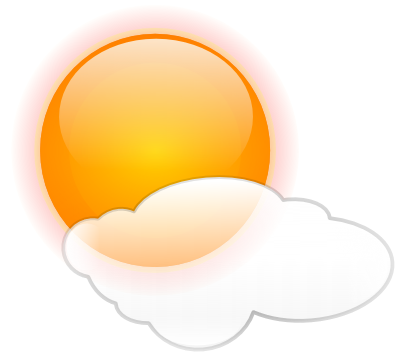 Wednesday, increasing clouds but mostly sunny, with a high near 82. Wednesday night. chance of showers and thunderstorms then showers likely and possibly a thunderstorm after 1am. Mostly cloudy with a low around 70, chance of precipitation 60 percent.